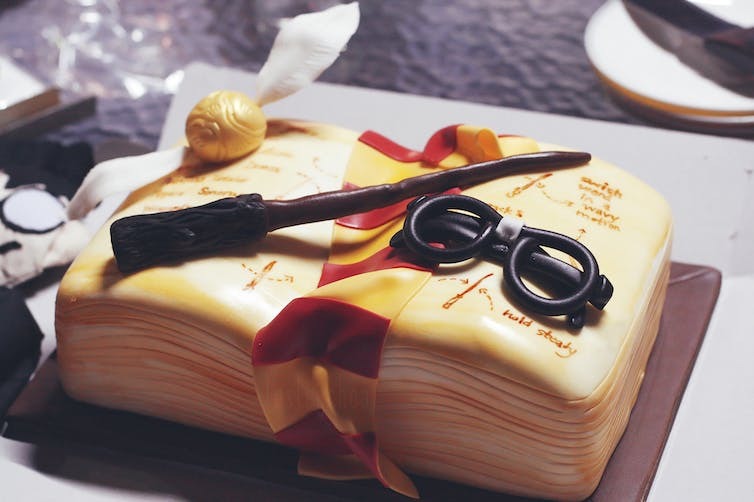 On Monday, June 26, 2017, Harry James Potter - the world's most famous wizard - will celebrate his 20th birthday. His many fans will likely mark the occasion by rereading a favorite Harry Potter novel or rewatching one of the blockbuster films. Some may even raise a butterbeer toast in Harry's honor at one of three Harry Potter-themed amusement parks. But not everyone will be celebrating Harry's big day. In fact, a vocal group of Christians - usually identified as "Bible-believing" or fundamentalist Christians - has been resistant to Harry's charms from the start. Members of this community, who believe the Bible to be literal truth, campaigned vigorously to keep J.K. Rowling's best-selling novels out of classrooms and libraries. They even staged public book burnings across the country, at which children and parents were invited to cast Rowling's books into the flames. These fiery spectacles garnered widespread media coverage, sparking reactions ranging from bemusement to outrage. Book burnings may be relatively rare in modern America, but efforts to protect young readers from "dangerous" texts are not. Such texts, and the efforts to limit their readership, are the subject of a class I teach at the University of Southern California. In this class, students survey a collection of books that have been challenged on moral, political and religious grounds. These include classics such as "1984" and "To Kill a Mockingbird," as well as newer texts like "Persepolis" and "The Perks of Being a Wallflower." The point is not to determine which challenges are "good" and which are "bad." Instead, we seek to understand how differing beliefs about reading and subjectivity make certain texts seem dangerous and others seem safe to particular populations of readers. Most readers of Rowling's novel - including many Christian readers - interpret the characters' tutelage in spells and potions as harmless fantasy, or as metaphors for the development of wisdom and knowledge. 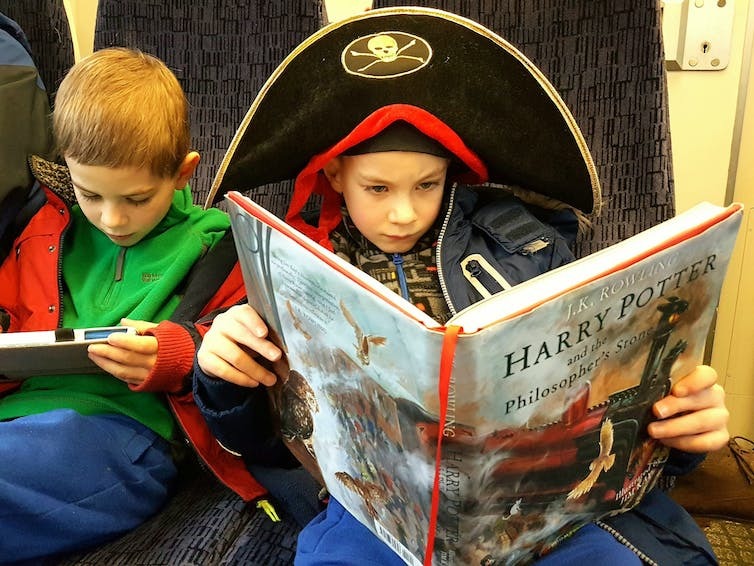 Similarly, they read incidents in which Harry and his friends disobey adults or make questionable choices as opportunities for characters and readers alike to learn important lessons and begin to develop their own moral and ethical codes. For some fundamentalist Christians, however, Harry's magical exploits pose an active danger. According to them, Hogwarts teaches the kinds of witchcraft explicitly condemned as punishable by death and damnation in the biblical books of Deuteronomy and Exodus. They believe the books must be banned - even burned - because their positive portrayal of magic is likely to attract unsuspecting children to real-world witchcraft. "The morals and ethics in Rowling's fantasy tales are at best unclear, and at worst, patently unbiblical." Why don't Bible-believing Christians trust young readers to discern the difference between fantasy and reality? And why don't they think children can learn positive lessons from Harry's adventures - like the importance of standing up to injustice? As Jenkins points out, however, research has shown that readers' responses are highly variable and contextual. In fact, psychologists Amie Senland and Elizabeth Vozzola have demonstrated this about readers of Harry Potter. 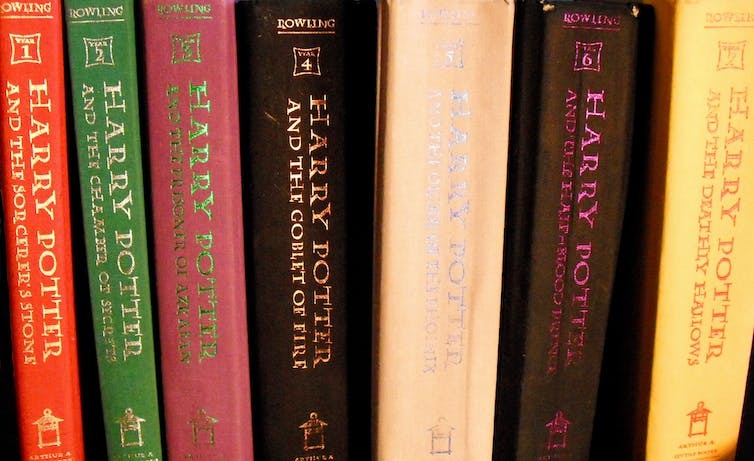 In their study comparing the perceptions of fundamentalist and liberal Christian readers of Harry Potter, Senland and Vozzola reveal that different reading responses are possible in even relatively homogeneous groups. On the one hand, despite adults' fears to the contrary, few children in either group believed that the magic practiced in Harry Potter could be replicated in real life. On the other, the children disagreed about a number of things, including whether or not Dumbledore's bending of the rules for Harry made Dumbledore harder to respect. Senland and Vozzola's study joins a body of scholarship that indicates that children perform complex negotiations as they read. Children's reading experiences are informed by both their unique personal histories and their cultural contexts. In other words, there's no "normal" way to read Harry Potter - or any other book, for that matter. Fundamentalist Christians aren't the only group who have trouble trusting the capabilities of child readers. Take the case of "To Kill a Mockingbird." For decades, parents have argued that Harper Lee's novel poses a danger to young readers, and have sought to remove it from classrooms for this reason. Some parents worry that the novel's vulgar language and sexual content will corrupt children's morals, while others fear that the novel's marginalization of black characters will damage the self-image of black readers. Despite their different ideological orientations, I believe that both of these groups of protesters - like the fundamentalists who attempt to censor Harry Potter - are driven by surprisingly similar misapprehensions about reading. Trisha Tucker is the Assistant Professor of Writing at the University of Southern California - Dornsife College of Letters, Arts and Sciences. This article first appeared in The Conversation.